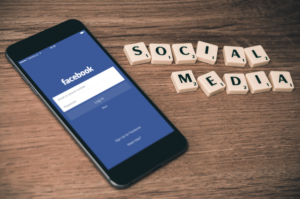 Social media can be an effective tool for growing your business, and should be a key part of your business’s marketing plan. 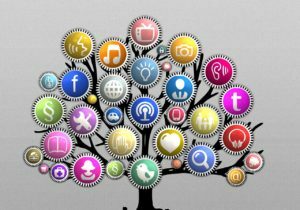 Social media provides an excellent way to stay in front of our target audiences, engage in conversation, and obtain business leads. The challenge comes with the content. What should we say? 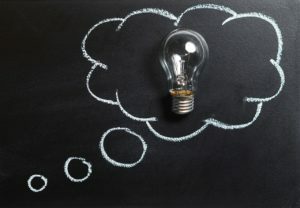 How can we come up with ideas? What if we have writer’s block? While there are many types of social media posts, generating original ideas specific to your business requires that you engage in an activity that alleviates writer’s block. It’s called brainstorming. Brainstorming is a process for generating a high number of new ideas that relate to a certain topic. It best happens by designating a certain amount of time to thinking of as many ideas as possible, without editing or filtering them. Step #1: Analyze your past social media posts. Check out your analytics and evaluate the posts that have gotten the most views and engagement. What types of posts were they? Build on that theme. Step #2: What types of content are your competitors posting? Take a look at your competition and see what’s working for them and what’s not. It will give you ideas to come up with original social media content ideas of your own. Step #3: Determine what your audience likes to know about. Examine your target audience, their characteristics and their values. What types of questions do they ask you? What matters to them? Keep this in mind when thinking of ideas. Step #4: Create categories. Try to think of categories for your social media posts, and develop content around those topics. Categories could include helpful information, asking a question, promoting a product or service, or offering a giveaway or discount. Step #5: Find a place free from distractions and set a timer. Turn off interruptions, such as your phone, email and text alerts. Commit to a certain amount of time (15-20 minutes may be enough) to focus on generating social media content ideas. Step #6: Brainstorm. Think of as may new ideas as you can and place them in the appropriate category. Your ideas won’t be perfect, and they don’t have to be. Just document as much as you can. You can go back after your designated time to filter and edit. Step #7: Place your content ideas on an editorial calendar. By using a calendar, you can plan out your social media posts ahead of time. While post ideas will change and new ones will arise, you’ll at least have a plan to keep yourself organized. Step #8: Stay consistent. Once you start posting to social media, don’t let long periods of time elapse before your next update. Your audience will come to expect and look forward to hearing from you, and will wonder what happened when you are not there. Be consistent and commit to spending a certain amount on social media during your workday. With a little planning and direction, your social media posts can be engaging, informative and entertaining. They can bring more traffic to your website, and secure a long term relationship between you and your customers. If you need help with your social media efforts or would like to learn more about how it can benefit your business, feel free to contact me or join my email list below. Writing for social media is different from the other types of content you create for your business. The goal of social media is engagement – you want your audience to do something with what you’ve written. Depending on the social media outlet, you want them to like, follow, share or comment. Ultimately you want your business to be remembered, and thought of as a reliable, trustworthy resource. But your audience’s attention spans are short – they are scanning for something interesting, something that makes them stop and read. So your copy should be short, enticing, and memorable. In order to be effective, your social media content should be SMART. 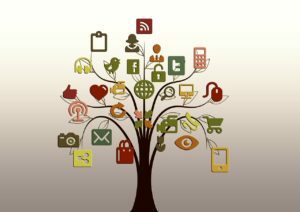 What is SMART Social Media Content? Simple: Your message should be short and sweet. Entice them, get their attention, and don’t make your message over complicated. Twitter has a 140-character limit for a reason. Keep your non-Twitter posts around 250 characters. Meaningful. Not all of your social media posts should be promotional. Instead, most of them should create value, and give your audience something they can learn and use. Meaningful posts build trust with your customers by establishing you as a trusted professional. Action. There should be a call to action in everything you write, especially in social media. To encourage action, make your posts shareable. Provide statistics, images, or information that is interesting or entertaining. Relevant. Keep your social media content consistent with your business, your brand and your industry. Your audience won’t listen if it doesn’t mean anything to them. Add value by answering questions, offering advice, and sharing information about your business. Timely. Be aware of current events, local news, and industry trends. Take advantage appropriately when you can. Remember the Oreo cookie tweet released during the Superbowl Blackout in 2013? It was retweeted over 15,000 times. Some of your social media posts will contain one or more of these SMART attributes. Some may contain them all. The key to engaging your audience in social media is in your content. Make it SMART, and you’ll create value, establish relationships, and convert your audience to loyal customers. If you’re like most businesses, you have a presence on social media. Maybe you post a few updates a week, like or share your followers’ posts, or comment on an interesting article or story. But what would your followers learn from your social media accounts if they dug a little deeper? What if they clicked on your profile pages to learn more about your business and what you have to sell? What would they find? Your social media profiles are the framework of your accounts, and are another way to market yourself to your potential customers. Many businesses don’t take the time to complete their profiles, or keep them current. But it’s important. Your bio. This is probably the most vital part of your social media profiles, because it’s your chance to explain what you do. Depending on the outlet, you could be writing about your company, yourself, or both. Take the opportunity to write a clear, concise company description. Include the key words your audience uses to find you – the same ones you used in your website content. Pay attention to the fields and bio pages each social media outlet offers. Twitter has fields for a brief description, the city you are located in, and your website; while Facebook’s page profile has an about page, a services page, and a place to add a call to action button. LinkedIn has a place to include your experience, education, awards, skills and recommendations. Fill out all that pertains to your business. Images. Images are powerful, and the ones you choose on your social media profiles are often one of the first impressions your followers will have of your business. Include high quality images, such as your logo, a professional headshot, and a header photo that captures your brand. Many businesses like to switch out their header photo to reflect the seasons, holidays, or to promote events that are going on in their business. Changing your header photo periodically is a great way to keep your profile fresh. Just make sure you change it back once the event/holiday is over. Your website address. The ultimate goal of your social media efforts is to drive traffic to your website, where your followers will get to know you, like you, and trust you. Through your website, your followers will decide if they want to do business with you. For that reason, it’s imperative that you include your website on every social media profile you have, with an active link. Your contact information. Provide your followers with the best way to get in touch with you. You may choose to offer your email address, your phone number or you may prefer to use the outlet’s direct messaging. If you have a brick and mortar store, you’ll want to add your street address. And if you work remotely, it may not matter what city you live in. The choice to include that information is yours. Current, complete, accurate. Whichever social media outlets you choose to be on, it’s important that each one is as complete as possible, accurate, and kept current. You may want to check your accounts monthly or quarterly to make sure you have accounted for any changes or additions to your services, employees, and contact information. Social media offers another way to get in touch with potential customers and develop relationships. Your social media profiles are like both your resume and your marketing brochure. You can show off your experience and what your company is all about, while providing helpful information, and solving a problem your followers have. If you’d like more information on completing your business’s social media profiles, please contact me. If you’d like to stay in touch by receiving my monthly e-newsletter, Marketing Done Write, please opt in below. A new business owner wants to promote her brand. She just launched a beautiful website, and with the help of a few key employees, she’s consistently adding helpful articles to her blog. But she’s dreading the missing piece. The part she knows how to use personally, but can’t figure out how to make it work for her business. The missing piece is social media. If you are like this new business owner, you are not alone. Social media is comfortable and easy to use when you’re documenting your life and sharing family photos with your family and friends. But when it comes to using it to promote your business and build a customer following, most people get lost. What you need is a plan. The key to conquering anything that seems overwhelming is to develop a plan for it. If you’re armed with a social media plan for your business, you’ll understand what you want to do, when you’re going to do it, and how you’ll accomplish your goals. When you have a social media plan, most of the decisions will be made. All you have to do is execute. I create a social media plan for every client whose social media I manage. I truly believe having a social media plan for your business will make your life easier, so I’m going to share my plan with you. Here are my steps for creating a social media plan for your business. Your first step is to decide what you want to accomplish. 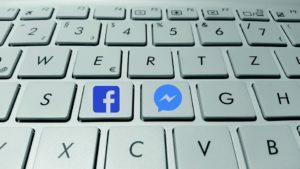 Why are you on social media? How do you want it to benefit your business? Maybe you want to educate your customers on your products and services. Maybe you want to help your customers understand a complicated concept or a trend in your industry. Chances are, you’ll want to promote your brand and be known as a trusted resource. Some businesses want to drive traffic to their website, increase conversation and engagement, or gather email addresses. Ultimately, most of us may have a goal of selling our product or service. Take a few moments and document four or five goals you have for your social media accounts. Be sure they align with your overall business objectives. You won’t be effective if you write your social media posts for everyone. But you will be effective if you write them for who will need it most. Who is most likely to benefit from your products or services? Consider their age, education level, gender, location and language. You probably identified your target audience when you started your business. Have a mental picture of an individual who possesses the qualities of your target audience, and write your content for him or her. You don’t have to be everywhere. Instead, do a good job with just a few networks. Research the demographics of each social media outlet. Does your target audience fall into that demographic? Consider the type of business you have and the type of content you generate. If you use a lot of photos or videos for example, you may want to consider having a presence on Instagram, Pinterest or YouTube, if that is also where your target market it. Set a realistic expectation about how often you will be present on social media. Consider your audience, and which days and times you are most likely to reach them. If you are a B2C company, don’t rule out evenings and weekends. There are many types of social media posts you could use to promote your brand. Consider video, giveaways, a link to your e-newsletter, or trivia questions. You could also recognize a customer, provide weekly tips, or promote your own sale. Refer back to the goals you established in step one for the type of posts that would best benefit your business. An editorial calendar is a schedule of your content for a defined period of time. Planning your social media posts a month in advance will keep you organized, accountable and will ensure you have a presence on social media when you get busy. Once you’ve developed a plan, it’s important to repeat the steps every month. This will help you meet your goals, and ensure that you have a regular voice on your social media channels. Being consistent proves you are reliable, dependable, and do what you say you are going to do. So if social media strategy is the missing piece in your marketing efforts, take a few minutes and develop a plan. Set your goals, know your audience, decide on an outlet and frequency, develop a calendar, and stay consistent. Make social media work for you, and enjoy the engagements, leads and customers that will follow. If you are a social media newbie (or a business owner wanting to understand more about social media) this blog post was written for you. I have put together a list of five free online resources that can help you get started. Why only five? 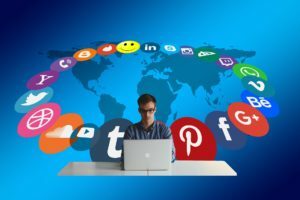 Each of these resources offers plenty of in-depth information on a wide range of social media topics, and I think it’s a good place to start. As with many online resources, they are free, but will ask for your email address to access the information. This is their email marketing strategy designed to stay in touch with you. If you do not wish to receive their emails, simply unsubscribe when you receive the first one. The Beginner’s Guide to Social Media. This 71-page guide available from Moz Pro is full of great information. Over the course of 12 chapters, this guide talks about the value of social media, best practices, measuring your success and how to find the right network for you. It concludes with chapters on some of the major social media outlets. Social Media Examiner’s Getting Started With Social Media: A Resource Guide. This page is one to bookmark. It provides you with links for comprehensive guides and blog posts specific to Facebook, Twitter, LinkedIn, Google+ and more. There are also links to information about blogging, podcasts, and a marketing industry report. Hubspot’s Marketing Library. I’m amazed at the resources Hubspot offers for free. Their marketing library has ebooks, marketing kits, webinars and templates for all types of content, but you can filter your search by topic and content type. It’s a valuable resource. Hootsuite’s Resource Library. This resource library offers white papers, guides and videos, and you can search by content type, industry, solution, and business challenge. Simply Measured. Simply Measured’s Resources page offers ebooks, social media studies and guides, social metric definitions, white papers and strategy kits. You can browse the selections and find what is most interesting to you. With so many valuable and free resources available, there is really no reason for business owners to be lost in the dark or spend large sums of money educating themselves on social media. All you need to know is where to look, and then invest some time in reading. If you’d like to learn more about how social media can benefit your business, please contact me or join my email list below. Last year, I earned Hootsuite’s Certification in Social Media Marketing. Prior to purchasing it, I did a lot of research to find out what was involved, what others who had gone through it had to say, and if it was worth my time and financial investment. If you are considering purchasing the exam through Hootsuite, here are my findings, experiences, and the reasons I chose to complete the program. Hootsuite is a household name in the social media world. Hootsuite claims to be the most widely used platform for managing social media, with over 10 million users in over 175 countries. Their website includes case studies from MailChimp (of which I’m also a user), the City of New York, Five Guys, the Rockefeller Foundation, and many others. Hootsuite University. This is their education arm, called Podium, where you can earn certifications on their products and/or the social media marketing certification. But if you don’t want to go this route, you can still download white papers, tool kits, and guides from the resource library on their main site at no charge. To me, this makes them a credible education entity to obtain a certification from. Once you earn it, it’s yours forever. 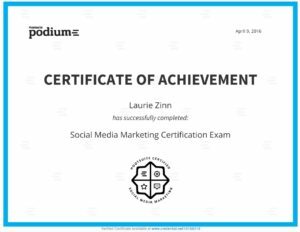 Unlike other certifications that need to be renewed, the social media marketing certification never expires. Credibility for my business. Anyone can say they provide social media services, but the certificate on my website proves to people that I’m credible. It shows that I took the time to go through the program and pass the exam. My hope is that puts me ahead of other business owners who claim they do social media. I hope it shows my potential customers that I care about educating myself, I start what I finish, and I can do what I say I can do. It’s on demand. I didn’t have to commit to a particular class time. I could complete it as my convenience. The program contains six courses (though the first one is an optional intro to social media marketing for true beginners) and the exam. Each course is divided into five or six sections, each containing between three and six videos, with a mini-quiz at the end of the sections. The topics range from optimizing your social media profiles, building a strategy, growing your followers, to content marketing fundamentals, and social media advertising. The program takes about four hours to complete, not including exam time. Each course has materials for note taking, and case studies and examples for certain modules. The exam has 60 questions, you have one hour to take it, and you can take it as many times as needed to pass. Completion of the exam gives you one free year of exclusive membership and a listing on Hootsuite’s certified professional directory. You don’t have to watch the course videos to take the exam, but I recommend you do. Many of the exam questions are based on their curriculum. The videos are quick and interesting, and while I had a lot of social media knowledge already, I did learn something new. If you have any experience whatsoever with social media, you can probably start with section 2. I read over the course materials for the first course, and chose to skip the videos. Download the course materials and take additional notes. The course materials are a true overview, and don’t get into a lot of the details. The mini-quizzes at the end of each section are really easy. Let that build your confidence, but don’t think the exam questions are that straight forward. If the program is pricey for you ($199), watch for discounts. I took advantage of a 50 percent off promotion they were offering for a limited time. If you’re not interested in paying for the certification, you can still view all of the video content and download the materials at no charge. Overall, I felt my investment in the Hootsuite Social Media Marketing Certification was well worth my time and money. If you’d like to learn more about using social media for your business, please contact me or join my email list below.